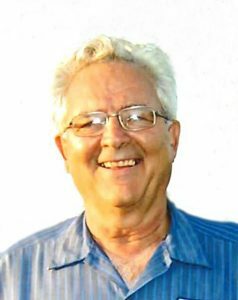 Jim Kobza, 74, of David City, died Thursday, July 20, 2017, in Fremont. Mass of Christian Burial Tuesday, July 25, 2017 10:00 A.M.
Vaclav J. Kobza was born December 6, 1942, in Raymond, Nebraska to Vaclav F. and Antonia(Masek) Kobza. He graduated from Marietta High School in 1961 and later graduated from Universal Trade School in Omaha. In 1963, Jim started working with Gus Youngberg as a mechanic and in 1983 Kobza Motors began with Jim as the new owner of the business. Jim served in the United States Army Reserve for 5 years. On November 14, 1970, Jim married Alice Kudron at St. Anthony's Catholic Church in Columbus. They lived in David City , raised four children and owned and operated Kobza Motors. Jim was also very active in St. Mary's Parish and the David City community. He was a 4th Degree Knight, served on St. Mary's parish Council, an Acolyte for several years, Board of Directors at St. Joseph Villa and St. Mary's Cemetery Board. He also served on the City Council from 1974-1980 and was Mayor for over a year. Jim was a devoted husband, father and grandfather and is survived by his wife, Alice of David City, three daughters;Jenny(Tim) Beaver of Columbus, Renee(Chad) Zwick of Wahoo, Vickie(Tim) Ward of St. Louis and one son Aaron(Danielle) Kobza of Omaha, three sisters;Mary Ann(Gerald) Kudlacek of Brainard, Betty Ann(Ron) Pleskac of David City, Carol Ann Kobza of Kansas City and three brothers; Hank(Bonnie) Kobza of Bellwood, Fred(Deb) Kobza of Clarks and Leonard(Linda) Kobza of David City. Also surviving are 8 grandchildren; Elley and Jared Beaver, Carlee and Adelyn Zwick, Benjamin and Jacob Ward, Faith and James Kobza, numerous aunts, uncles, nieces and nephews. He was preceded in death by his parents and one brother, Richard Kobza.